Warmer temperatures may leave you wishing for a little time with your toes in the sand and your feet in the ocean. 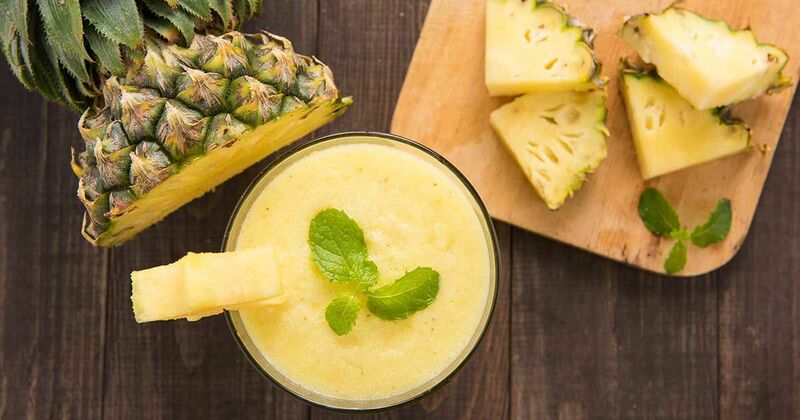 If you can't get away, enjoy the taste of tropical paradise (and boost your health) with a few slices of pineapple in your morning smoothie. Pineapple is freshest between March and June, though you can likely get them most any time of the year, according to The World's Healthiest Foods, and it's a good thing, because this tart fruit is a great way to sneak in some vitamins and minerals. 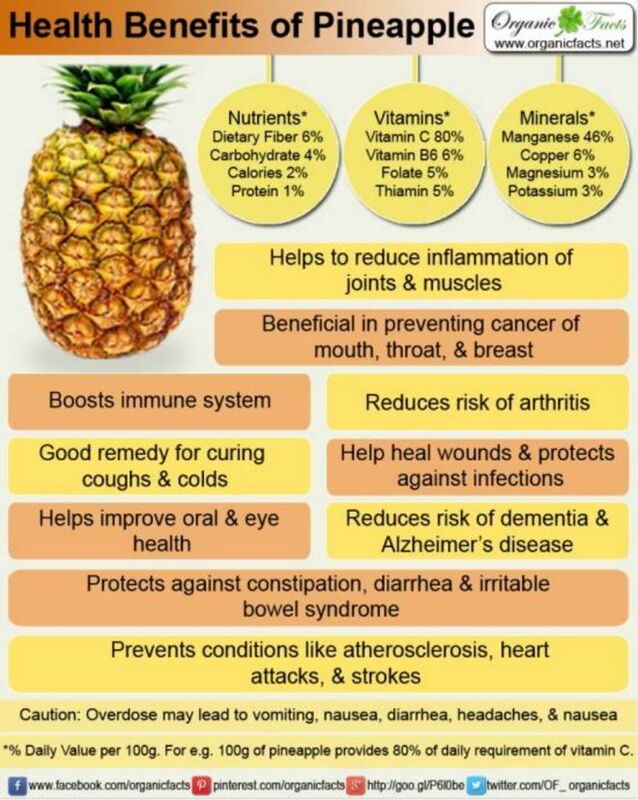 The World's Healthiest Foods, reports that pineapple contains a substance called Bromelain. Research has shown that this supplement may be able to help reduce inflammation and help ease digestion troubles. Put pineapple next to carrots on your list of foods that can aid in healthy eyesight. According to The World's Healthiest Foods, eating three servings of fruit per day could reduce the risk of developing ARMD, a disease associated with vision loss. Pineapples contain plenty of Vitamin C. This vitamin not only helps prevent colds, it can also help keep your heart safe from disease. Toss some pineapple chunks in your morning oatmeal for some extra flavor and protection, according to Health Line. Sip some pineapple juice to up your intake of Vitamin C, beta-carotene, copper, zinc and folate. These nutrients can help boost fertility in both men and women, Health Line reports. Your body converts the beta-carotene in pineapple to vitamin A, during the digestion process. Some studies say that this could help reduce the risk of exercise-induced asthma, according to Health Line. Among other healthy ingredients, pineapple contains fiber. Fiber is known to help you feel fuller longer. Living Traditionally recommends drinking a glass of pineapple water in the morning to combat sugar cravings. According to Living Traditionally, the bromelain content in pineapples helps remove stains from your teeth. It can also help break down plaque, keeping your smile healthier. Sip some pineapple juice after a long workout to restore your electrolyte balance, reduce cramps and prevent injuries. Potassium levels in pineapple help your body maintain proper electrolyte levels, according to Living Traditionally. Sweet pineapples will be heavier than they look. Skip pineapples with bruises and mushy spots. Make sure to sniff your pineapple and choose one that smells sweet at the stem, according to The World's Healthiest Foods.